David Letterman with host his final Late Show episode on May 20, clearing the stage for Stephen Colbert who will take over the late night show in his wake. 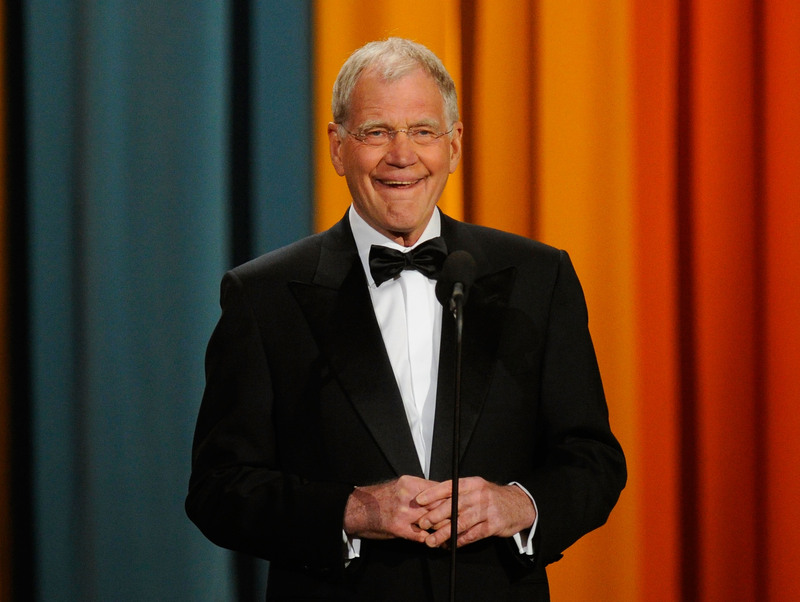 David Letterman has been an iconic character in showbiz for decades. To commemorate Letterman's last show, which airs on Wednesday, I have assembled a few of the best feminist moments from The Late Show with David Letterman. Letterman's celebrated career his given us tons of memorable moments to sifth through as his last day in the spotlight edges closer. Letterman has been providing America with quality late-night entertainment for 31 years. David Letterman has also given us a few choice moments of feminism to celebrate over the course of his extensive career. As feminism has made its way into popular culture, so, too, has feminsm made its way onto The Late Show. His legendary status in the entertainment industry allowed David Letterman to host some of the best and brightest names in show business and that has given him the opportunity to talk to some pretty fabulous advocates for gender equality along the way. Letterman will be sorely-missed by insomnia sufferers (and regular people) everywhere and it is only fitting that we prepare for his departure by looking at a few of his best feminist moments. ...if you look up feminist in the dictionary, it just means someone who believes men and women have equal rights. And I feel that everyone here believes men and women have equal rights. Bonus points for his Beyoncé/Jay Z reference. Following her infamous 2015 Oscar acceptance speech, Patricia Arquette later appeard on The Late Show with David Letterman to chat with David about gender wage equality. Joseph Gordon-Levitt sits down with Letterman to discuss Don Jon and the falsity of gender-specific wants and preferences. Dr. Phil swings by Late Show to talk about Ray Rice and the pervasive nature of domestic abuse in the United States. I thought, well, maybe this will be a good opportunity to put a black person on, and it would be a good opportunity to put a woman. There are certainly a lot of very funny women that have television shows everywhere. So that would have made sense to me as well. Tina Fey wants to give Letterman a memorable sendoff so she straps on her Spanx and gives Letterman a show.